Father and son are teaming up. Recently, DIY announced their new TV series Holmes & Holmes will premiere in January. Holmes & Holmes debuts on January 3rd at 10 p.m. ET/PT. 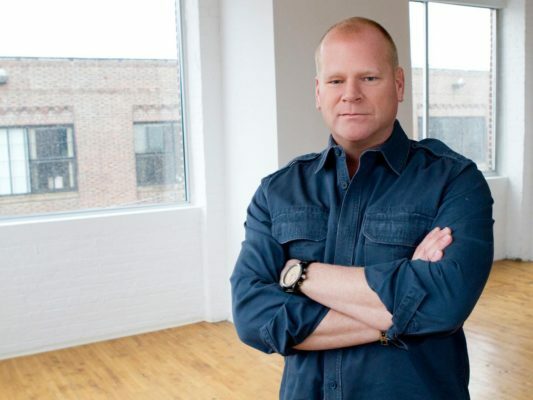 New York [For Immediate Release – December 8, 2016] Professional contractor Mike Holmes will team up with his son, home renovation expert Mike Jr., to transform the twentysomething’s bachelor pad into a proper home in the new DIY Network series Holmes & Holmes. Premiering Tuesday, January 3, at 10 p.m.ET/PT, the six-episode series will follow the duo as they gut, renovate and expand the single-story 750-square foot bungalow into two-story home for Mike Jr. and his girlfriend Lisa. While Mike and Mike Jr. share a last name, a strong work ethic and a desire to help others, they don’t always agree – though they always vow to build it right. During the series, the Holmes team will face the challenges of any major home reno, from cracked foundations and water damage to budget shortfalls and time crunches. Each episode will focus on one stage of the renovation process and showcase the father/son journey as they tackle the project together using the latest construction materials and build techniques. What do you think? Do you watch the DIY Network? Will you watch Holmes & Holmes? More about: DIY TV shows: canceled or renewed?, Holmes & Holmes, Holmes & Holmes: canceled or renewed? Who is the manufacturer of the rigid foam that you used on the country house remodel. Its was use on the outside of a 2×4 wall to add extra insulation. Watched the episode on July 24th, it was while adding the 2nd story addition to the center of the farm house. We just finished watching the 3 homes that you so magnificently transformed . Just wondering the country one was located approx. ? We live in Brockville [ so not far from the River Home ], so if your ever down this way looking for a project our home would give you a mega challenge . Mike , you have always been a hero for me , as I admire your high work standards and integrity and it is wonderful to see your son following in those same footsteps . Thank you, Rose T.